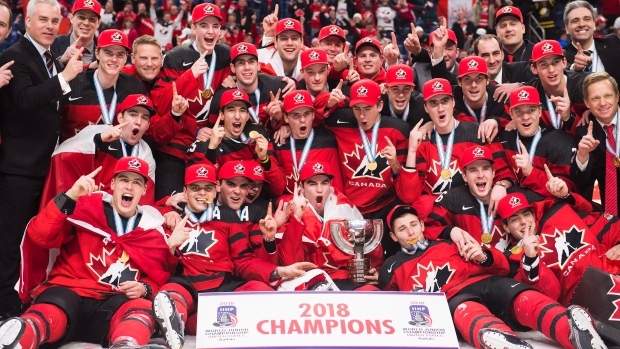 Team Canada made sure they weren’t going to lose this time around after being named Champions of this years 2018 World Junior Championship. The 2018 WJC had it’s touching moments. It’s amazing personal stories. And even it’s heated moments. The 2018 World Junior Classic ended in classic Canadian style with a late third period goal by Team Canada’s Center Tyler Steenbergen (20). 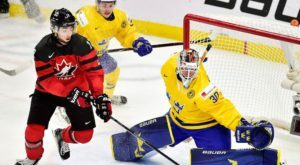 Despite it being an empty netter, Steenbergen’s goal solidified Canada’s hopes of being crowned champions. This is Canada’s 4th gold medal in the last ten years of the WJC. And out of those ten years, Canada has only placed out of the top three only twice (2013, 2014). Despite all the excitement around Canada’s victory, there were also some pretty special moments as well. 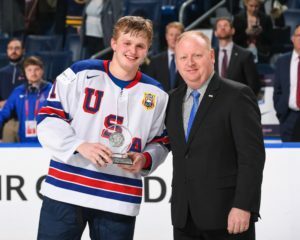 USA Forward Casey Mittelstadt (19) was named the WJC Most Valuable Player. The Edina, Minnesota native and Buffalo Sabres 2017 8th overall pick led all player in the tournament with 11 points. Not only did Mittelstadt win MVP, but he was also named the tournament’s Top Forward as well. Along with his USA teammate Kieffer Bellows, Mittelstadt was named to the WJC All-Star team. Mittelsadt had the opportunity to play in front of his Sabres home crowd at the KeyBank Center where he helped USA take the Bronze Medal in a 9-3 beat down over Czech Republic. Another heartwarming story comes from team Canada’s Boris Katchouk (19) who was drafted in the 2nd round of the 2016 NHL Draft by the Tampa Bay Lightning. His mother, Yelena Tumanova, represented the Soviet Union back in the 1968 Olympics as a speed skater. Surprisingly, Katchouk actually hated the idea of skating as a kid. But, his mother kept egging him on. Katchouk finished the tournament with three goals, three assists, and six points for Canada. The WJC also got a little heated at times. While most players for team Sweden were enjoying their silver medals, one player didn’t seem to be a fan of silver. Sweden’s Center Lias Andersson is shown tossing his silver medal into the crowd (which he eventually got back). Andersson was drafted 7th overall by the New York Rangers in the 2017th NHL Draft. He finished the WJC with six goals, one assist, and seven points. Despite the attendance for the WJC in Buffalo being ranked 10th all time, some could argue that number was boosted due to the tournament’s first ever outdoor game at the Buffalo Bill’s NewEra Field. The following press conference regarding the attendance didn’t sit too well with the committee. 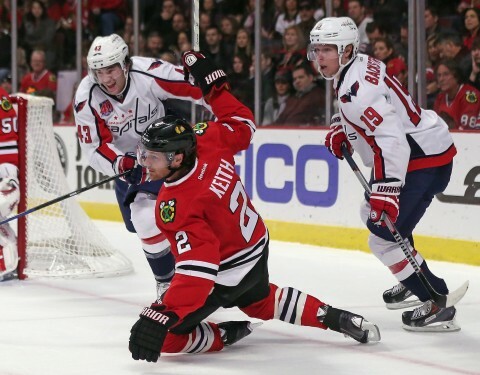 Hopefully, the World Junior Championship will continue to draw in more fans. This is an opportunity for every hockey fan to possibly witness future NHL stars while representing their respective countries. 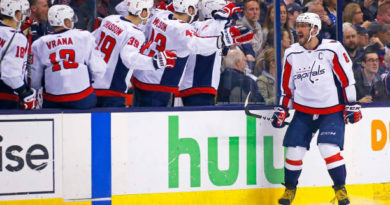 And if even though it’s not on the level of Olympic hockey, the World Junior Championship is definitely something hockey fans want to start giving more attention to in the future. What was your favorite moment from the World Junior Championship? ← What does the future hold for Jalen Hurts?